If you have a wool carpet, then you know how much of a pain it can be to keep it clean and looking in great shape, due to the nature of the carpet itself, you have to make sure you have the best vacuum for wool carpet that can handle and remove all of the dirt and grime that collects in between the fibers. Simply put no general vacuum cleaner will be able to do this efficiently. Thankfully for those of you looking for a quick and easy way to keep your carpet looking its best, we have compiled the top vacuums for wool loop carpet that can make short work of any dirt and mess that may plague your carpet flooring. In addition to checking out the machines themselves, we’ll also be going over the various features and benefits that you should pay attention too. So that you will be able to get the best model for your needs at the right price. What Do You Need From A Suction Only Vacuum? Which Is The Best Vacuum For Wool Rugs? Can I Steam Clean My Wool Carpet? Your wool carpet or rug needs the love and care of a good vacuum. There are misguided ideas that a regular vacuum cleaner will do the same job. Vacuuming a Wool or any High pile type carpet needs special care to maintain, and keep it in excellent condition, without damaging the fibers of the carpet. So if you want your wool carpets looking their best, we have reviewed the top vacuums for wool carpets to do the job. We have extensively examined and asked experts their advice to get the best results for you to check out below. The unique features of this vacuum is that it allows soft style carpets to be thoroughly and easily cleaned This is the Soniclean SFC-7000, with a combo extra included in the package, let take a look. When you purchase a premium carpet or rug, you may not realize that a regular vacuum cleaner will not able to cope with the thickness of the pile. 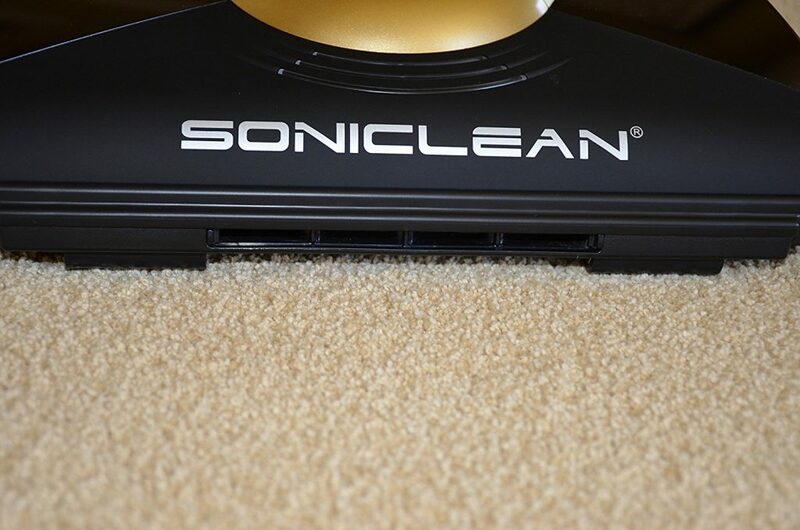 The Sonclean has the adjustable height for different carpet thickness, and the suction power which can be adjusted to suit is impressive. It uses a bag system which may be a bit old fashioned, however, it does have all the mod cons and has HEPA filter if required and fragrance pods that can be added into the filter, a light lets you know when the bag needs emptying. Also it has a light on the front to guide you. It's not the smallest vacuum for some wool carpet brands, but the way it large wheels glide over these delicate carpet and delves deep into the thick pile of carpet is fantastic. The long 35 ft power cord will cover plenty of wool carpet areas. Work well on all type of soft style carpets, rugs, and the extra handheld kit is great for the out of reach area and can be used in the car if necessary. This Electrolux Ultra Flex Canister Vacuum supported by the unique Ultra Flex technology, which allows this Vacuum For Wool Carpets to maneuver around with ease, helped by its large wheels at the back of the canister and the flex Pro performance system, makes handling the thickness of wool and shag carpets a pleasure. It has plenty of cord length (21ft) which enables large areas to be vacuumed, without having to find another power socket. Ideally suited if you have pets or have concerns with any allergies, as the effective HEPA filter will keep any unwanted dust and bugs at bay, it claims to remove 99.7% of all pollutants. The roll brush has three settings for adjusting the height, which is helpful when making the transition between hard floors to plush carpet. Another additional feature is the flexible suction power; this lets you adjust the power of the suction which is great for cleaning curtains including delicate fabrics. The cyclonic system will give consist supply of suction without losing suction which worked great. The brush roll has a self-clean button this is to stop long human hairs, and pet hair getting tangled up and having to get the scissors to remove it. Emptying the dust bag or dust cup is easy as it empties from the bottom which is smart thinking as it reduces the amount of dust entering back out into the air. The versatility of this vacuum cleaner for wool carpets is excellent and with a telescopic wand hose that has a reach of 8 feet, put this with the cord length, and it gives you an overall area of cleaning of 33 feet which is pretty impressive. 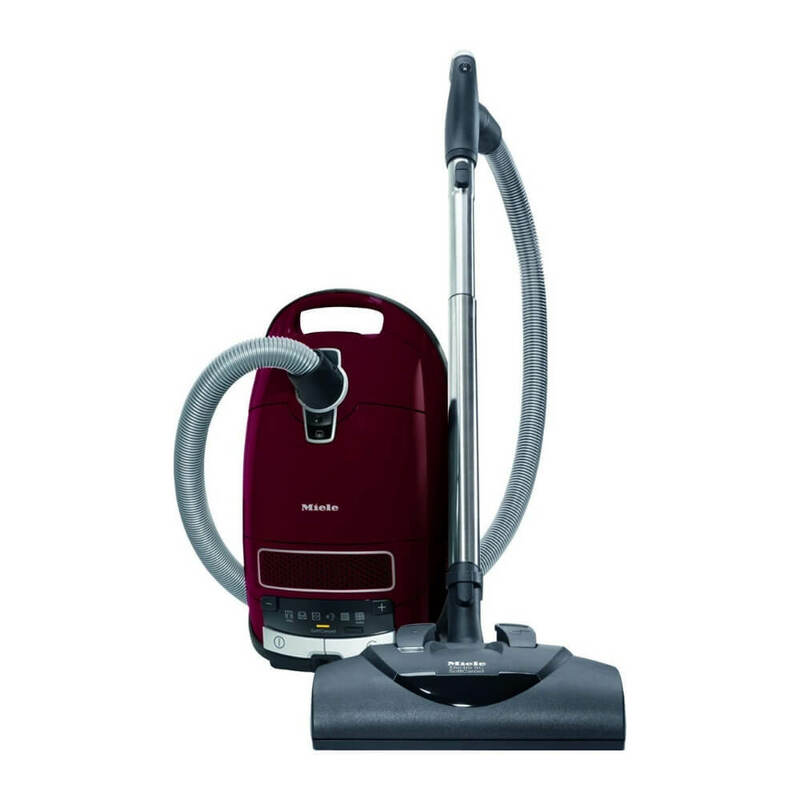 Electrolux Ultra Flex Canister Vacuum robust vacuum. Next up is the Oreck Magnesium RS Swivel vacuum ideally suited for high-pile carpets, and is just as at home on hard floors. Due to the design of this vacuum its lightweight at only 7.7 lbs, and has a stylish look, and with a magnesium structured design gives this vacuum a modern, fresh look and feel. When looking for a vacuum for wool carpets you need a vacuum that will remove deep embedded debris and dirt from your carpet. The Oreck Magnesium RS has dual speed to penetrate deep into the fibers of the carpet so it can get to the ground in dust and dirt. This is controlled by a "Quick Switch" which is simple to do while vacuuming. Such, for an upright, it can lay virtually flat, which is useful for cleaning under furniture and with the side brush it has the ability to clean against the edges of baseboards quickly. 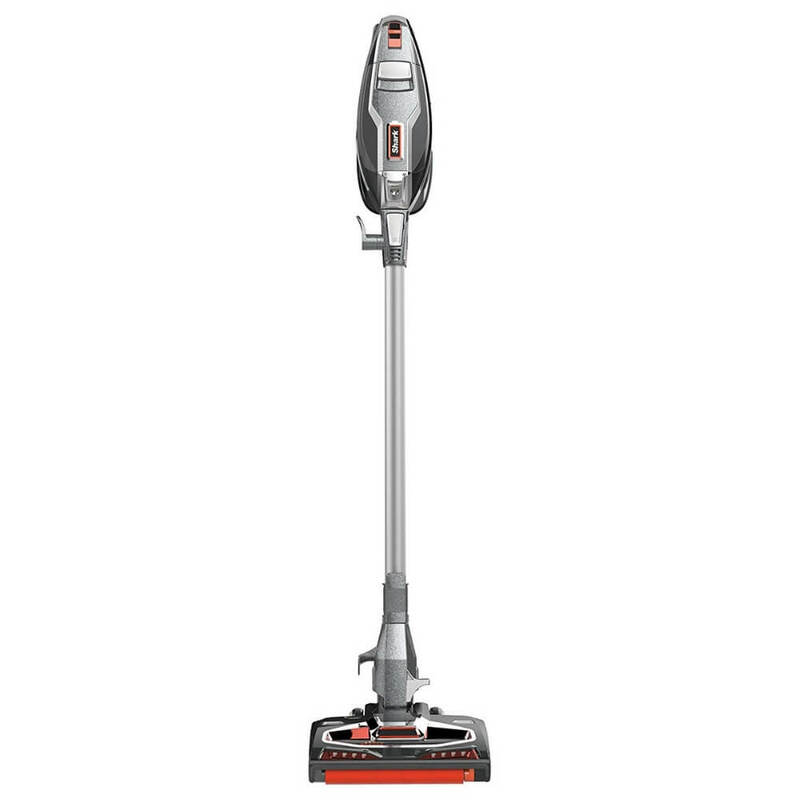 Classed as a commercial vacuum by Oreck Magnesium RS has a 30" power cord and comes supplied with HEPA bag that prevents all the pet dander, dust mites, and mold. By using an airflow speed of 102mph, this system ensures it eliminates particles up to 99.97% so for the sufferers of microspores or dust allergies this will be of great benefit. The bonus here with this deal is it comes supplied with 3 HEPA bags which is a saving of $60 which makes it a good deal. Overall this is a lightweight vacuum that's versatile enough to be used anywhere in the home or office space. It's ideal on wool or high pile carpets but also works well on hard floors, including kitchen and bathroom tiled areas. For some people, versatility and agility are more valuable in a vacuum than anything else. 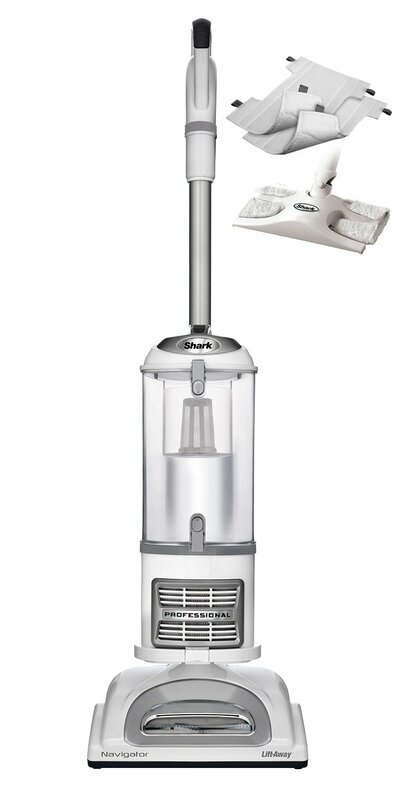 As such, this model from Shark provides ample opportunity to clean your house from top to bottom with minimal changes to the device itself. What we like most about this vacuum is that it is super light and can be used to clean a variety of carpets including shag carpet. When you want to clean the floors (or the stairs), you can use the long handle. When you’re ready to tackle furniture and other sections of your house, take out the middle, and it becomes a handheld unit. Best of all this Shark HV382 DuoClean the brushes are designed for large and small debris and will work on almost any carpeting. The only drawback is that the handle is a bit wide and can be hard to hold over time, and the dust cup is rather small. Overall, this is a vacuum for wool loop carpet if you don’t have a ton of square footage, but you do have a variety of spaces in your home. 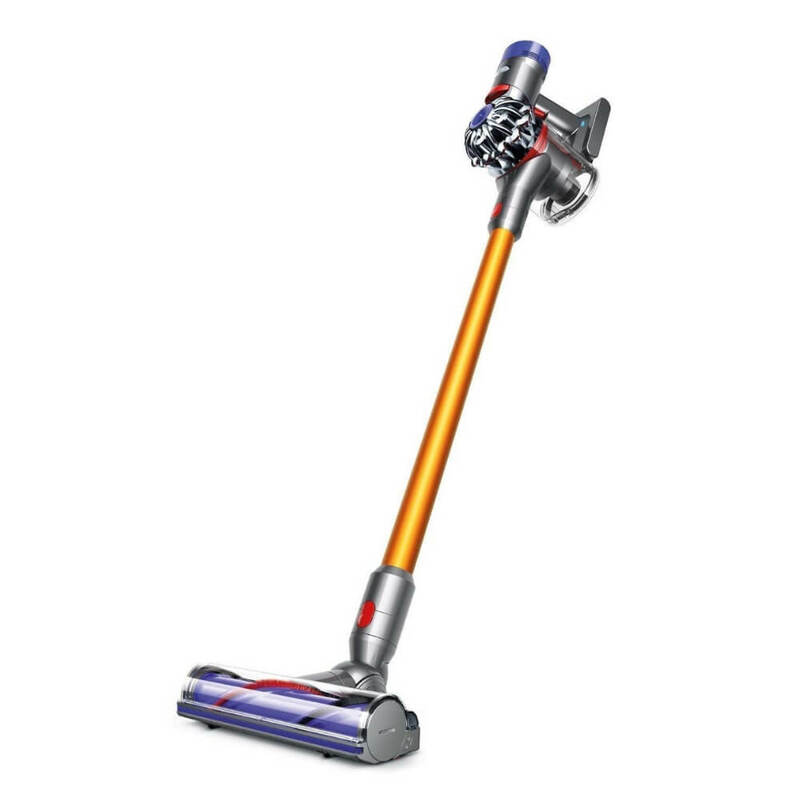 Much like the Shark above, this vacuum from Dyson is built with agility in mind. However, unlike the one above, this one doesn’t have a power cord. As such, it can provide up to 40 minutes of powerful suction, which may be more than enough to suit your needs.While we wish that this Dyson V8 ​could last longer, the fact is that it’s more designed for spot cleaning than anything else. This is lightweight design and cordless mean that you can clean areas of your home that would otherwise go unnoticed with any other cleaner. We wouldn’t recommend it for heavy duty use, but it can do wonders for those hard to reach areas. To see more of the Dyson Vacuum Reviews. If you’re looking for the ultimate cleaning solution and you want a super powerful Miele vacuum for wool carpet to have by your side, then this is the one to get. This canister-style vacuum is built for all kinds of flooring, especially carpets. It has five height settings and a variable-speed adjustment that automatically customizes itself to your floor. Overall, this vacuum adapts to its environment. The other thing that we like about this Miele vacuum is that it comes with some pretty incredible attachments. It has a parquet twister for hardwood floors and several other accessories that can make cleaning your carpet a breeze. The only setbacks are that it is a bit cumbersome and it is more expensive than anything else on this list. However, if you’re not on a budget, this can be a remarkable cleaner for you. 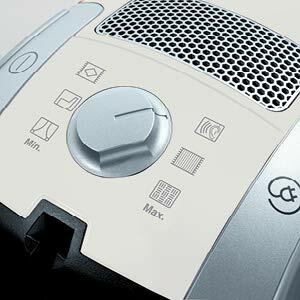 See more Miele Vacuum Reviews here. Our final unit is a two-in-one vacuum that is part upright and part canister. The main section can be removed so that you can clean your home from top to bottom, making it a versatile addition to your cleaning supplies. 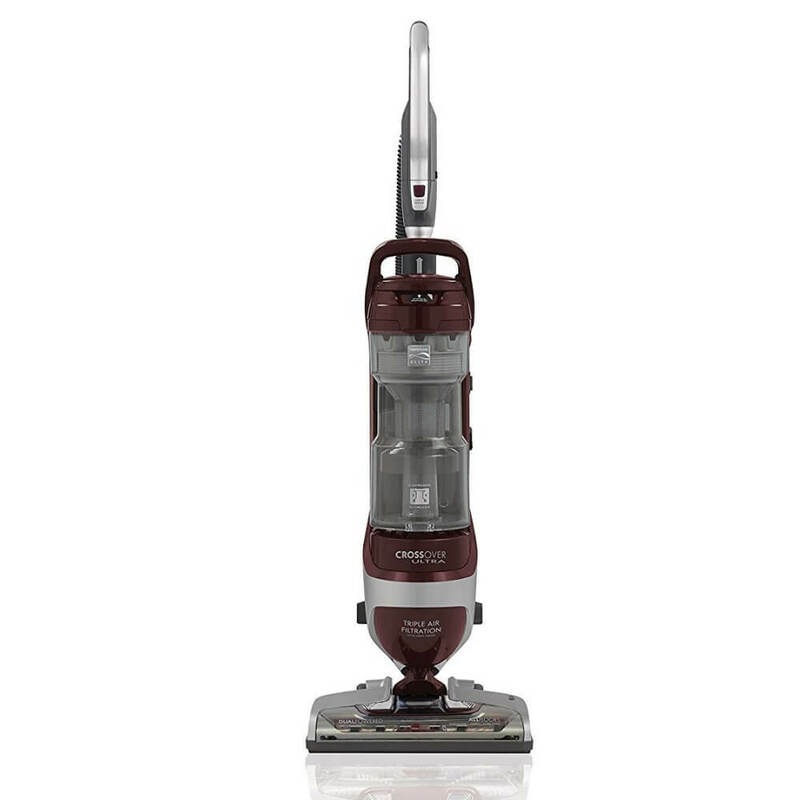 The other main selling point of this model is that it has a dual motor system that both digs deep and provides excellent suction. What we liked most about this Kenmore Elite 02031230 Upright Vacuum For Wool Carpet is that it has a sensor to tell you when the surface is clean. While it may have some trouble on thick carpet, it can be super handy when using it as a surface cleaner. Also, the fact that it’s bagless and has an easy to dispense dust cup is another plus in our book. Overall, if you want versatility and reliability, this is a great model to buy. This next vacuum is a Prolux 7000 and is a high-quality machine. So this is an upright vacuum cleaner that uses a floating cleaning head which can adjust to various floor types. The way this works is the vacuum can detect a floor change and will adjust its height level accordingly. So if you have thick pile carpet like wool, it will transition between this kind of carpet onto hard floors without a problem, and vice a versa. The weight of this Prolux 7000 is 19lb and has a nifty LED light on the front to help to navigate in darker areas. The handle is comfortable to hold and moves around the floor using hard wearing soft wheels. Which when using on long pile carpets will not leave wheels marks after use, Plus it won't scratch or damage hard floors. The filter is HEPA, that can be washed after use. Its also supplied with micron bags to help with allergies that can be replaced (but does come with six). The Prolux has a wide assortment of tool accessories that all store into recesses on the back of the upright vacuum. Along with the usual tools like a crevice tool, upholstery tool, and extendable wand it also has a very handy mini pet turbo cleaning head, useful when using the hose with wand attachment for sofas, curtains, and pet beds. The power cord is over 30 feet, so you don't have to keep change power supply socket. This lift away upright vacuum from Shark offers the option to remove the canister for portable use. In the upright position, the 2-1 vacuum has a switchable brush roll for using on a carpet and bare floors surfaces. It will adjust to the floor area to being cleaned. This model has a HEPA filter which will cope with any allergens capturing 99.9% of dust and particles, making it ideally suited for pollen and allergy sufferers. Weighting under 14lb it's lightweight enough to maneuver and move to different areas of the home. The lift away canister can be used with the wand tool accessories to reach high up areas such as room corners and drapes, and blinds. Because you can walk around with this, you can clean upholstery and sofas, beds with little effort. Plus if you have pets, this will make light work of any pet hairs that need cleaning up. Last up is the Maytag M1200 upright vacuum. 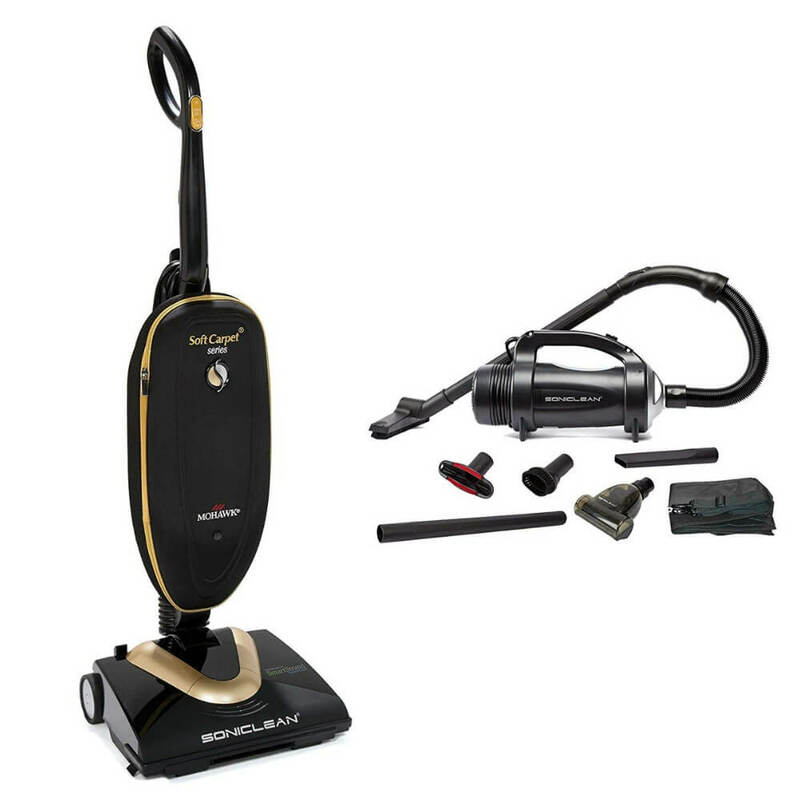 This high-end vacuum has excellent build quality with two cleaning motors. One of the most expensive vacuum models we have covered. Its design is such that if you have wool carpet or any with a large pile this M1200 vacuum will cope with it without a problem. With it six adjustable height settings moving over different surfaces like carpet or bare floors is a simple task with an easy-to-use carpet button. Its drive belts are for commercial use, so plenty of power and suction. Also uses a dual intake system which will increase or decrease suction depending on the floor type you are cleaning. With a HEPA media filter this model works well with pet hair and allergens. Plus with the charcoal media, it gets rid of any lousy pet smells when vacuuming, leaving a clean smelling home. The LED light helps navigate around the floor so you can spot any debris or dirt as you clean. It also has onboard tools to assist with upholstery, and pet beds. There we have it, when looking through all the options for vacuuming wool carpets. We have paid particular attention to those that are designed with wool carpeting (or other similar types) in mind like Plush, berber and high pile carpet. As such, while we love the attention to detail that comes with the Miele C3 Soft, but we have to say that the Soniclean has some of the best cleaning options without the Miele's high price tag. Plus, the fact that it comes with a handheld device means that you’re getting two cleaners for the price of one, which is a valuable bonus. Overall, we love all the vacuums on this list, but we felt the Soniclean sfc 7000 will work well on your wool carpet. 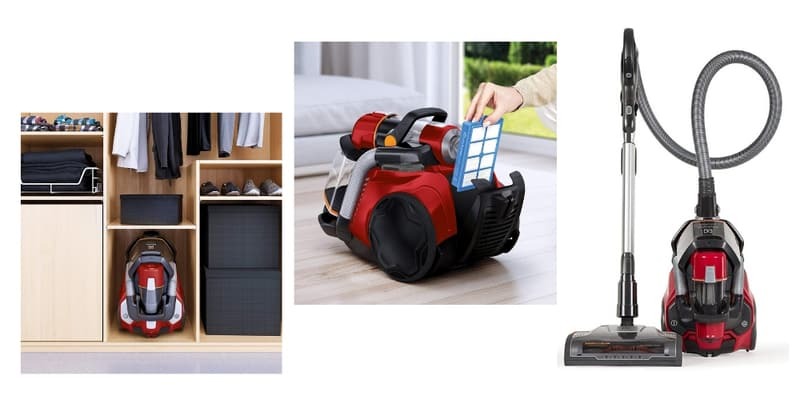 The other choice was the Electrolux EL4335B Corded Ultra Flex Canister Vacuum which is excellent value for money if you are on a budget and this was the Editor's choice of vacuum. Why is it recommended not use vacuum cleaners with a beater brush, and to use suction only on wool or high Fiber carpets? When choosing best vacuum for area rugs or high pile type wool carpet, there is a lot of debate on how best to clean these areas, is it with or without a rotating beater brush? If you like using a vacuum on a wool carpet with a pile height 3/4 inch or over, then the vacuum you select will become a key factor. Various carpets will have variation in pile height. Less than 1/4 inch is considered as low-pile, while 1/4 to 1/2 inch medium pile, and 1/2 to 3/4 inch high-pile, with some shag carpet and wool area rugs even longer. So with that in mind let look at why suction only. The best types of suction only are the upright or canister types. 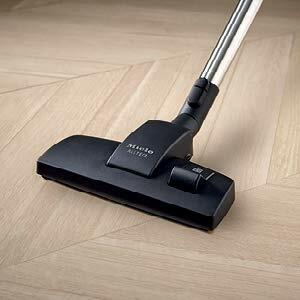 Vacuum which have beater bars are intended more for low pile carpet, as the rotating beater bars vibrated and beat the carpet as it vacuuming it dislodges the dirt and dust as it moves. It's an efficient method and works well on this type of carpet. But is not so good with long fibers like wool, the length of the loops of fiber can get damaged by the beater bars, causing twists and tangles to the strands, which is bad news for the wool carpet. Plus, this can also make using the vacuum hard work, having to push the vacuum through the thick pile or when using this type of vacuum for area rugs. The vacuum needs to have large wheels, which allows it to move over area rugs and the wool carpets smoothly and easier. It also helps with the finished look of the carpet once vacuumed, so not having lots of tracks where the vacuum has been, making the carpet looks good as new once finished. 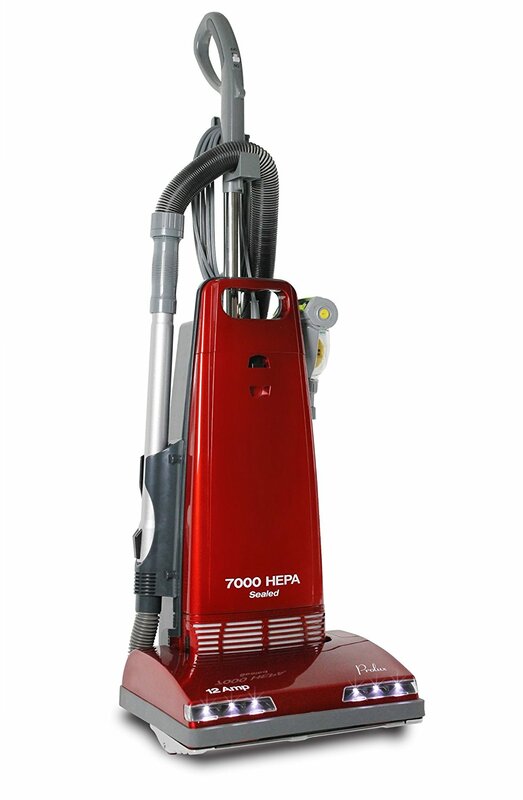 This type of vacuum uses a motor in the floor head usually motorized, making it ideal for moving over a thick pile carpet. They have height adjustment to suit the length of the pile you are cleaning, so you can adjust this height, add this with the amount of suction needed to penetrate deep into the fiber of the carpet to remove dirt and dust, you have a powerful cleaning tool. This making it ideal vacuum for area rugs and wool carpets. In high traffic floor areas of the home, the use of a high pile carpet can spoil the look of the carpet, and it would be better to have low pile carpets or wool area rugs. So they can be easily vacuumed and keep cleaner. 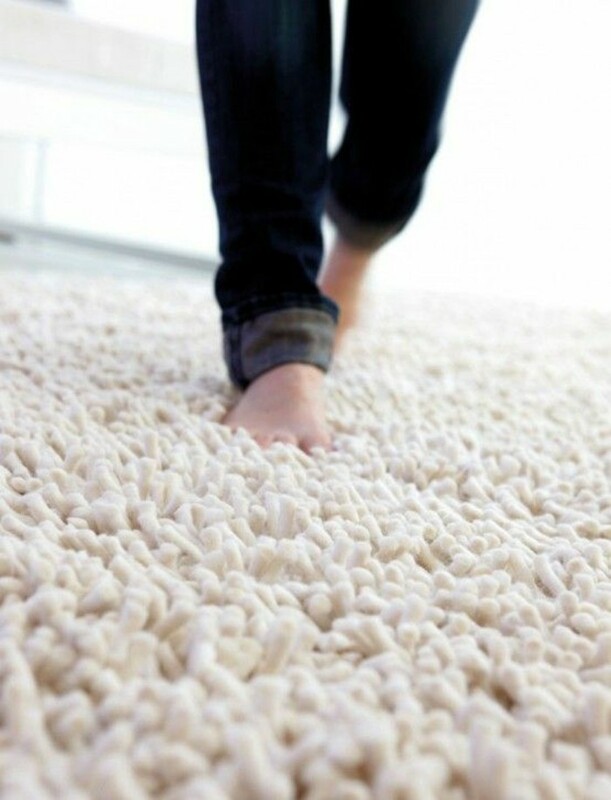 Then save the best quality high pile wool carpet for areas in the home with less traffic. How big is your house? How many square feet of space do you want your vacuum to clean? These are the kinds of questions that you have to ask yourself before buying one of these cleaners as it will help dictate the correct model to buy. Overall, you want to get something that won’t be too large or too small for the job you will be needing it to do. that will be heavy and too cumbersome to move up and down the stairs. Not only that, but you want to pay attention to the size of the dust bag (or canister) to ensure that you can clean everywhere in one go, without have to stop to empty and clean the vacuum. Most people go with this kind of vacuum because it is much easier to manoeuvre, but it is not as agile. However in some cases, you can find some models that are a hybrid of both so that you get the best of both worlds. The biggest problem with most upright vacuums is cleaning under furniture and beds. Some suction only vacuum for wool carpet have very good adjustable handles which basically lay flat which overcomes this problem somewhat. ​ These are ideal for homes that have a lot of surfaces to clean, not just floors. But they can be tricky to move around, particularly if you have stairs to clean. However, this is the main area that they are better than a upright vacuum. Therefore these are the workhorses of many home users dragging them around the place. But hey that's why canister is still a very are a popular vacuum, and it down to what works and suits your needs. If you hate dragging a power cord around and don’t need to do a whole lot of cleaning, then a cord-free model can be your best bet. However, don’t expect them to work at good as a corded model, as they do have a battery run time. So you need to be realistic to what your needs are from a vacuum. 2. Bissell Zing Bagged Canister Vacuum (corded) - This bissell vacuum for area rugs is lightweight and easy to use and has enough suction and is powerful and compact. its telescoping wand will make the task to vacuum your wool rugs a breeze, comes at a great price too. 3. Eureka Blaze 3-in-1 Swivel Lightweight Stick Vacuum Cleaner - A 3-in-1 Eureka blaze again come with the tool required to vacuum wool rugs, again this lightweight unit coming in at only 4 pounds which makes it very versatile to use. Also has a washable filtration system which will improve air quality. A wool carpet is made up of very durable fibers, unlike a cheap carpet made with nylon or synthetic fibers. This is one of the main reasons with wool which reflects in the cost of a carpet. Therefore to keep the carpet in peak condition, will ensure it will last for many years in your home. A question we get asked is can I steam clean my Wool carpet. The simple answer is yes you can. Let's take a quick look at the reasons why, and the steps you can take to keep your carpet looking like new. The fibers of a carpet are organic and therefore will take on pet smells and stains easily. This can depend on the color of the carpet you have in your home. For many carpet owners they have lighter carpet; so as much as it looks impressive on the eye it can get dirty just as quickly. A regular vacuuming routine for this type of carpet is the first step to keeping out dirt and debris from deep in the carpet fibers. 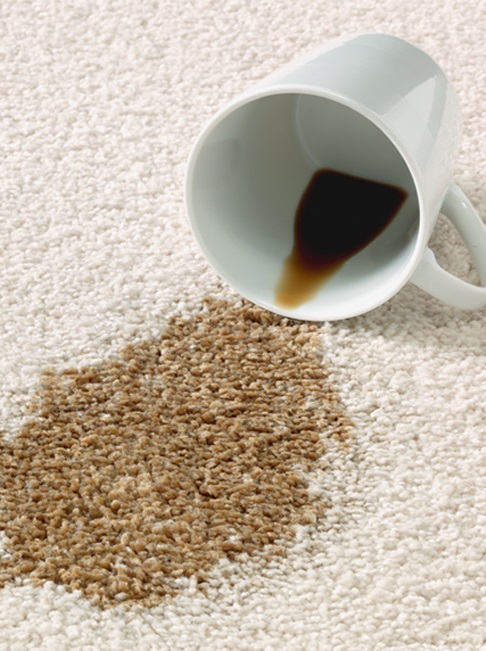 If grit and grime in the carpet are left, it can damage the fibers of the wool so keeping on top of this is important. So, the use of steam on your carpet will not damage the carpet. You will need to check the cleaning agent/detergent instructions that you add to the steam cleaner is ok to use on a carpet. For most parts these agents are a mild detergent which should not be a problem on the carpet. More hash chemicals such as bleach is not a good idea to use, as this can damage and dispel the wools fibers. Its recommended that if you do steam clean the carpet, it is not done more than a couple of times a year. Make sure you allow 4 to 6 hours to dry after steam cleaning. Professionals or Do it Yourself Cleaning? There are a few options now you know you can steam clean your carpet. Firstly you can get a professional carpet cleaner to come in and do the job for you, but this will come at a cost for this service. Alternatively, you can use a steam mop or steam cleaner and do the job yourself. However you do need to vacuum the carpet first before you steam cleaning. We have more information on steam mop cleaning here. A. Twice a week in general if possible and more in high traffic areas. Q. Will steam cleaning make my wool carpet go moldy? A. The carpet should be dry after 12hrs, making sure there is plenty of air flow through the house, and follow the cleaning instructions. Q. Should i use beater bar with my vacuum on my wool carpet? Here are some resources you might find helpful along the way.